They are bright, colorful and lot of fun for kids. 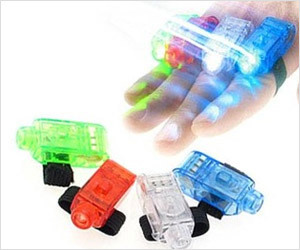 LED finger lights can be worn on each finger using an elastic band. For awesome color riot, whole pack has 40 lights including red, white, blue and green colors.